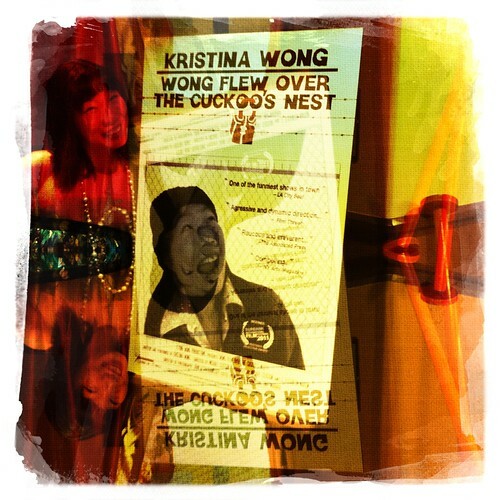 Wong Flew Over the Cuckoo’s Nest is now on Amazon! You can now can watch me while wearing nothing but your underwear because I’m now available to the masses in the form of a private home use DVD on Amazon! It’s been three years of getting this baby produced, shot, and edited, but here I am, finally able to answer that annoying question: “Can I watch your shows on DVD?” Yes you can lazy audiences! Yes you can! If you are a teacher, non profit organization or librarian purchasing this DVD for your campus or community, we have “multi-use license” DVDs for purchase. And we have ways of finding out if you are using our home video in a classroom! So please honor our work and buy the public use DVD if that’s what you’ll use it for! I’ve been back in LA for three weeks now and find myself waking up at odd hours not knowing where I am. The first night I was back I woke up at 4am, looking at pictures of myself on the wall thinking, “How did this hotel get photos of me?” then I looked down at the cat on my leg thinking, “That cat looks just like my cat.” I had thought that within my 6.5 weeks of solo traveling in Southeast Asia I’d find myself delirious a la Apocalypse Now not knowing where I was, but for some reason, that only seems to happen at home. Despite all fears that I’d never make it back, I have. My new Ipad with 2000 new photos is fully in tact. The casualties of travel are one blue hoody that I’ve owned for seven years, gone somewhere in Hoi An, Vietnam. 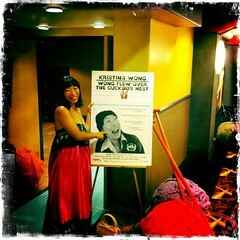 Three hours after I landed, I went to the premiere of my film. 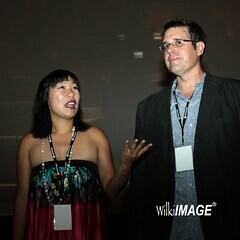 Here are pictures of the premiere! Mike made giant knitting needles and created this whole display completed with “knitted green carpet” on the way into the theater! Even half my show title cut off, still makes me giddy to look at! This was a trip too. 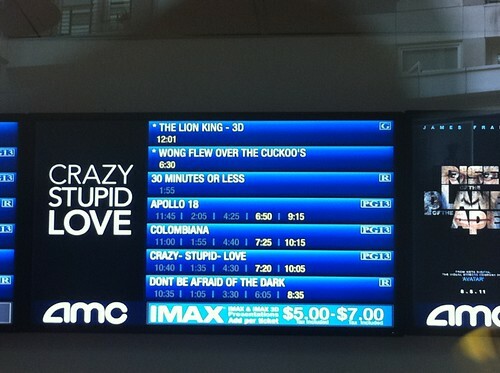 Me at the AMC?! The post show talk! 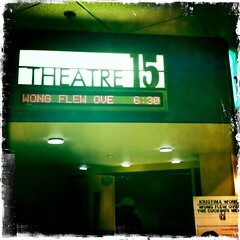 The audience was so great. I was convinced everyone would have bolted but they stayed and had great questions. Our reception was wonderful. I am getting ready now to leave town for a week. I’ll be doing excerpts of the show live at Virginia Tech and Stanford!